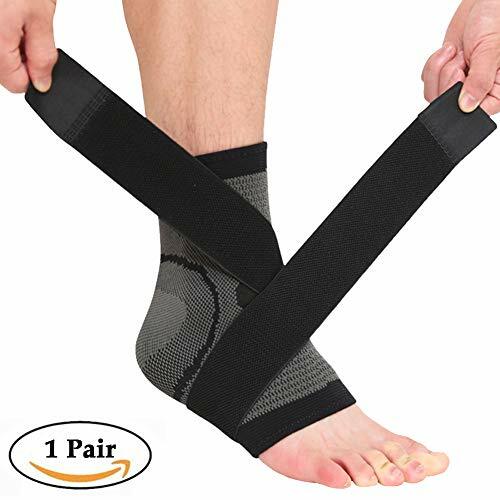 HiRui Ankle Brace is ideal for ankle health, designed to minimize the risk of injury especially during the strenuous activities, also helps to relieve edema and symptoms associated with acute injuries, which is ideal for sprains, tendonitis and arthritis. ◆SIZING: ONE SIZE DOES NOT FIT ALL! Fits ANKLE CIRC. S: ≤7.5″(19cm); M: ≤8.3″(21cm); L: ≤10.2″(26cm). Please follow our SIZE CHART instead of your normal shoes’ size and choose according to your wear preferences. Please measure the circumference of your Ankle Circ. to determine whether is it suitable for you, especially the S! If you are on the borderline between two sizes – We recommend: The LARGER SIZE! ◆PLS distinguish between the left or right foot. ◆Unisex, Fits for men and women. ◆Package Included: 1PCS Ankle brace. √ If you are not satisfied, including the size is not suitable, we will provide a 100% refund service. √ If you are satisfied with our items, it’s our pleasure. We kindly hope you can leave a product review to share your thoughts, just a few words, it will be more helpful to other customers. 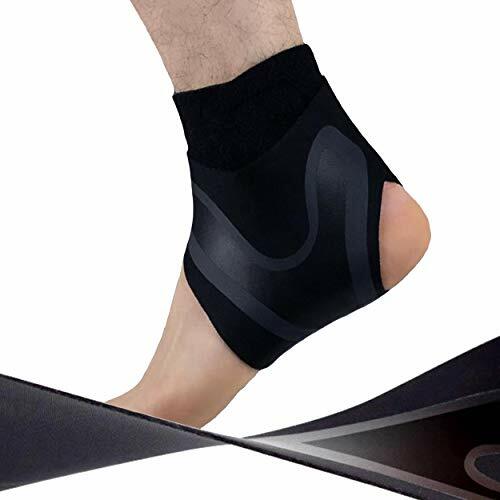 ►ULTRA-STRONG SUPPORT – This ankle support fitted with two reinforcement straps to offer strong support & stabilization for the ankle tendons and joints. Simple and effective high-grip crisscross Velcro straps attach anywhere along the entire sleeve to provide customized tightness and bracing to individual needs. 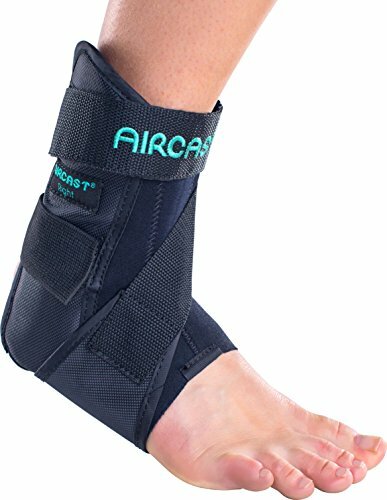 Best ankle support brace for running, exercising, and day to day activities. ►ULTRA-THIN & SOFT & COMFORTABLE – Made with breathable elastic and moisture-wicking fabric, neoprene, form-fitting, anti-slid and lightweight easily fit into any shoes, effectively prevent skin irritations and antimicrobial. Essential light weight protective gear for active men and women. ►IDEAL FOR PAIN RELIEF AND PREVENTION – Designed to minimize the risk of injury especially during the strenuous activities, also helps to relieve edema and symptoms associated with acute injuries, which is ideal for sprains, tendonitis and arthritis. 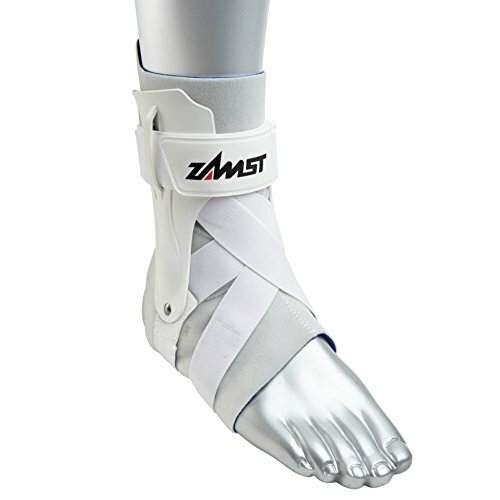 ►DESIGNED FOR SPORT SUPPORT – Perfect fit for any activity without restraining your movements.Ideal for Basketball, volleyball, skiing, skating, football, soccer, running, jogging, track and field, crossfit, weightlifting, tennis, dancing, hiking, climbing and various other physical activities.